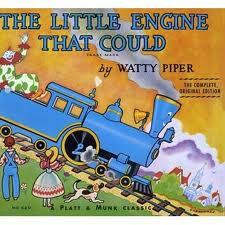 The version of “The Little Engine That Could” that most families know is by Watty Piper (the pen name of Arnold Munk), illustrated by Lois Lensky, and published in 1930 by Platt & Munk. The origin of the story is unclear, but is similar to part of a sermon, “The Story of the Engine That Thought It Could,” by the Rev. Charles S. Wing in 1906. The story in the sermon was later published as a children’s book named “The Pony Engine” in 1910. Since the 1930 publication of “The Little Engine That Could” there have been other slightly different versions of the story published and many references in popular culture to the notion of “I think I can,” promoting the idea that even if you think you can’t do it, just try! Not every time a child tries to do something new, however, ends up successfully. Sometimes there is disappointment. That’s when a parent can talk to their child about how much is learned just in the attempt, even if things don’t turn out as we plan. Reading storybooks about trying can help open up a conversation about life’s ups and downs. 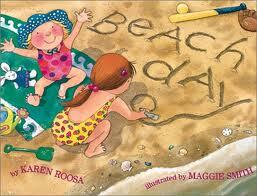 Talk about the books you read together and listen to what your child thinks about the stories. You may be surprised! Try these books for your pre-schooler which all support trying, but also are realistic about the abilities and interests of a young child. • “From Head to Toe” written and illustrated by Eric Carle. From turning your head like a penguin to bending your knees like a camel, activities all end with the refrain of “I can do it!” This is a fun book to read and act out with your child. • “Can I Play Outside?” by Mathew Price, illustrated by Atsuko Morosumi. Featuring a bear family, this story illustrates in a gently way how grown-ups can do some things that children can’t (such as drive a car), but that children can do lots of other things (like play in the sandbox). Grandparents are special people. As a grandparent you are a veteran at raising children. You’ve lived through diapers, tantrums, and your child driving your car. Although some things have changed since your kids were young, sharing books together is still one of the best ways to connect with children in a meaningful way. Whether close by or far away, slow down and treat yourself to quality time reading with your grandchildren and you will be creating memories that will last their lifetime. • When you visit, bring a new book as a gift for each grandchild or visit a bookstore together to pick out a book. Adding an inscription makes the book a keepsake. 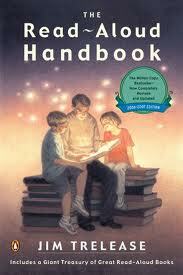 • If you live close to your grandchildren, plan a regular night of the week for reading aloud to them. Parents can go out or stay home and listen in! As your grandchildren get older, you can enjoy longer books by reading chapters in installments. If you live far away, you can use skpe.com to read via video or you can read aloud by phone. • Find a book from your grown-up son’s or daughter’s childhood and give it as a very special gift to your grandchildren. Read it together and talk about which parts were favorites of their parent. • Help your grandchildren make a card for a relative or friend, decorating the outside. What message does your grandchild want you to put in the card? Help him or her write it. • Send a letter or postcard to your grandchildren when you travel or just send a card from your home saying hello. If you are comfortable with the Internet, send an email. Your grandchild probably has his or her own email address. • Give a note to your grandchild with a joke, riddle or poem written on it. Practice telling it together and then you and your grandchild can try to memorize it for the next time you visit. • Clip out articles from the newspaper about things that interest your grandchild and send them in the mail for him or her to read. • If you are helping to raise your grandchildren, make sure that books are a special part of your daily routine. Read books aloud after school, at bedtime and on weekends. 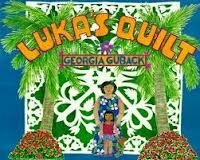 • “Luka’s Quilt,” by Georgia Guback, is an intergenerational book set in Hawaii. Luka and her grandmother, “Tutu,” have a very close relationship until they have a disagreement about the colors that Tutu chooses for the quilt she is making for her granddaughter. The two find a very honest and loving resolution for their differences. • “Grandfather’s Journey” by Allen Say tells the story of a boy’s recollection of his grandfather making a boat trip from Japan to live in the United States, but still missing his homeland. • “I Love Saturdays y Domingos” by Alma Flor Ada, illustrated by Elivia Savadier is a story about a young girl’s alternating visits with two sets of grandparents every other Saturday. It is truly magical when a child learns to read. The hidden messages on the pages of a book are revealed; the mystery of a story discovered. All the time you have spent sharing books together before this, have given your child the motivation to learn to read. Your child knows that books are full of adventure, feelings, facts and fun. Now that your child can access the magic of books on his or her own, it is amazing! Your emergent reader will still benefit from hearing books read aloud, but will most likely be proud to read aloud to someone else. Parents, grandparents, siblings and friends can all be good listeners. Even pets and stuffed animals can be included. Books that your child has heard you read aloud are familiar and may be a natural choice for your child to read. 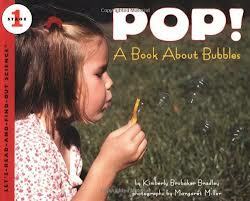 But books new to your child hold a treasure of excitement as they are read for the first time. 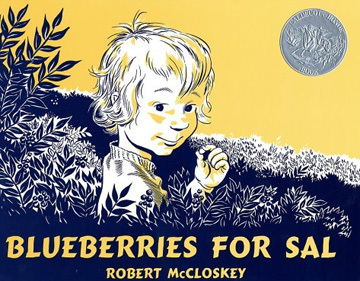 Save longer, more complex books for an adult to read to the child. Remember that beginning readers are veteran listeners (Jim Trelease, “The Read Aloud Handbook”) and can understand a higher level of book read aloud than they can read on their own. Keep reading to your child, even when they read to you! “Are you My Mother?” By P.D. Eastman. A little bird looks everywhere for his mother. His ideas of the identity his mother may be appeal to a child’s sense of humor. “Brown Bear, Brown Bear, What Do You See?” By Eric Carle. The sing-song text goes through the names of colors and animals and makes reference to school. “If You Give a Mouse a Cookie” by Laura Numeroff. An unusual series of events takes place before this mouse ever gets his snack. 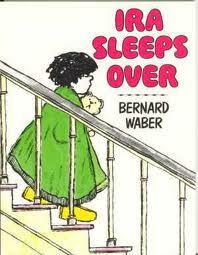 “Ira Sleeps Over” by Bernard Waber. Ira wants to spend the night at his friend’s house, but doesn’t know if his teddy bear is too childish to bring. “The Foot Book” by Dr. Seuss. 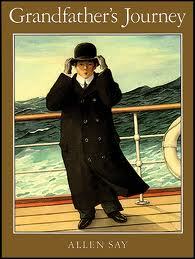 Repetition and rhyme make the text of this book predictable.